Actually, the DNS working system is a bit more complicated than the system we discussed before. However the working principle is the same. It can also solve the problems we discussed in previous Chapter. If your ISP Name Server has the information of the IP Address of the query host, it will tell your computer immediately. Assume that your ISP Name Server do not have the information of MyGreatName.com. Your ISP Name Server will ask the DNS Root Name Server immediately the Name Server that has the information of MyGreatName.com. STOP! You may ask: "How can your ISP Name Server knows the Root Name Server? Which Root Name Server to ask?" Actually all Name Servers will download and install a file from the FTP server of interNIC. The file is called "named.cache" or "named.root". This file has the IP Addresses of ALL Root Name Servers.
.                     3600000 IN  NS  A.ROOT-SERVERS.NET. From the above named.cache file, we know that there are 13 Root Name Servers on the Internet (A.ROOT-SERVERS.NET., B.ROOT-SERVERS.NET., ...., M.ROOT-SERVERS.NET.). The Root Name Servers are distributed around the world. When your ISP Name Server do not have the IP address information of MyGreatName.com, it will check the named.cache file and ask for help from the Root NameServer. If the first Root Name Server is out of order or do not have response, your ISP Name Server will ask the second Root Name server. Root Name Server will then tell your ISP Name Server the authoritative Name Server of MyGreatName.com are 212.69.192.10 (Primary Name Server) and 212.69.192.11 (Secondary Name Server). Now you should know that why you need to submit information of two Name Servers when register new domain names. Your ISP Name Server now has the IP Address of the Authoritative Name Server of MyGreatName.com. Your ISP Name Server will then contact the Authoritative Name Server of MyGreatName.com (212.69.192.10). 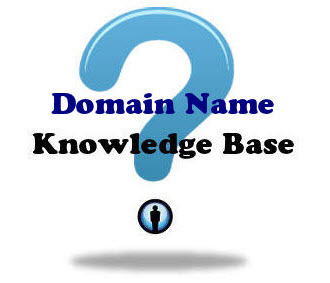 The Authoritative Name Server of MyGreatName.com will then check and confirm the information of MyGreatName.com. It then tell the IP Address of MyGreatName.com (212.69.204.148) to your ISP. Your ISP Name Server now has the IP Address of MyGreatName.com, it will tell your computer immediately. Once your computer get the IP Address of MyGreatName.com, your computer can then communicate with MyGreatName.com. The Root Name Servers on the Internet play a very important role in DNS. There are a lot of Name servers located around the world.